PINEVILLE, LA – U.S. 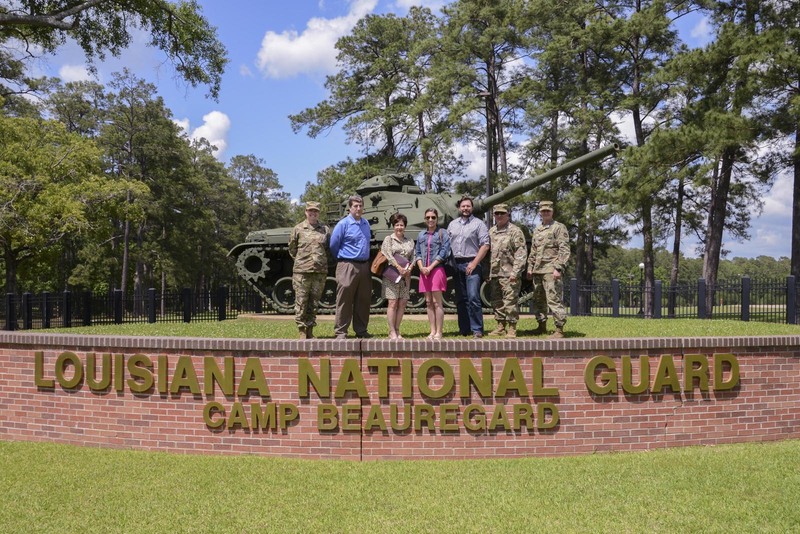 Senator Bill Cassidy’s staff toured Louisiana National Guard’s Camp Beauregard and Army Aviation Support Facility #2, in Pineville, April19. The staff that visited included Chris Anderson, Michael Eby, Lynn Hopper and Zoe Aguilar. They met with Col. Joseph Brocato, post commander of Camp Beauregard and Col. Patrick Bossetta, commander of the 204th Theater Airfield Operations Group. 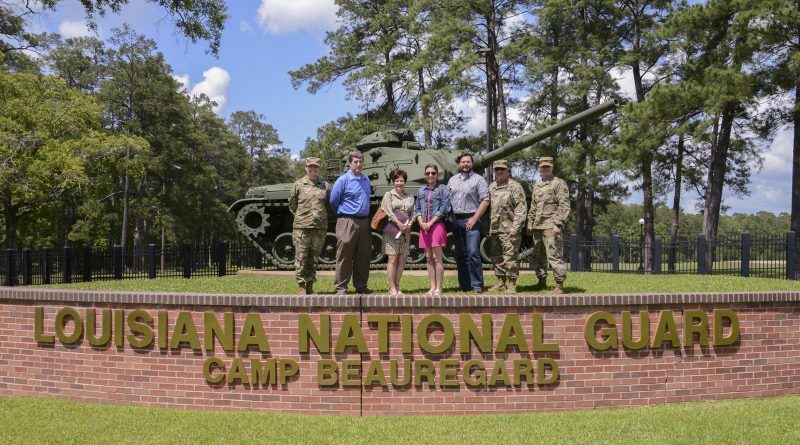 Brocato gave the staff a tour of Camp Beauregard, and provided a quick history of the post. He briefed them on the number of Soldiers who come through for training each year, to include active duty units. “Visits like this give us the opportunity to show our civilian leadership what we (National Guard) are capable of,” said Maj. Joseph Deville, AASF #2 commander. Bossetta briefed Cassidy’s staff on aviation’s state and federal missions and state-wide support of recent natural disasters. Bossetta also briefed on changes the Army is looking at making to the UH-60 Blackhawks. Deville explained that the Army is looking at changing the UH-60L over to a UH-60V model which will mimic the UH-60M Blackhawk. The UH-60V is an upgraded version of the UH-60L that has a completely digital cockpit instead of analog gauges. 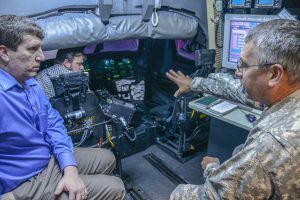 Following the brief, Bossetta gave Cassidy’s staff a tour of the AASF #2, introduced full-time personnel and let them fly a UH-60 in the UH-60 Blackhawk flight simulator. The flight simulator allows pilots to fly in emergency situations, combat situations and gain flight hours without having to put the pilots in actual Blackhawks. Louisiana National Guard's Col. Patrick Bossetta, commander of the 204th Theater Aviation Operations Group, briefs United States Senator Bill Cassidy's staff on state and federal missions and state wide support of recent natural disasters. 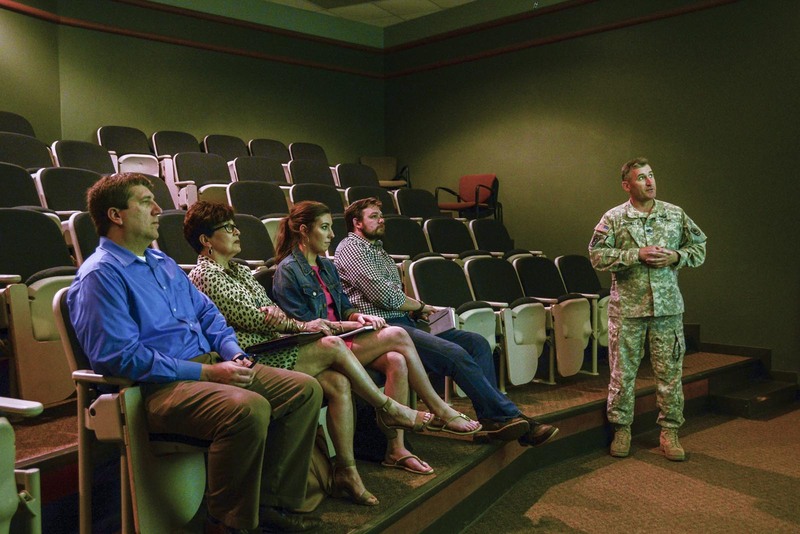 Cassidy's staff toured LANG's Camp Beauregard and Army Aviation Support Facility #2 in Pineville, Louisiana, April 19, 2017. 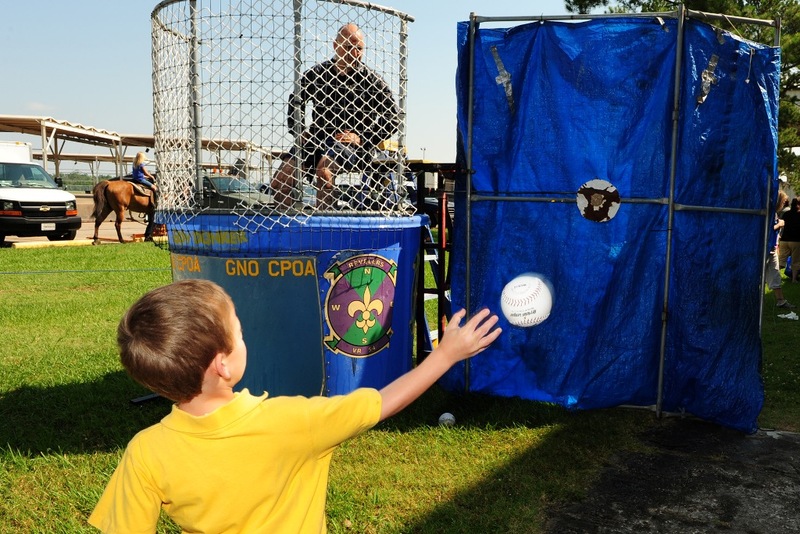 (U.S. Army National Guard Photo by Sgt. Noshoba Davis).